Is a beeswax and cotton re-usable food wrap. It was a gift from our friends, Sue and Matt. They have just come home from their annual pilgrimage to New Zealand. Wax wraps are marketed as a way to reduce plastic waste (which has gotta be good). According to the spiel, they are ideal for wrapping sandwiches, cheese, salami, etc. I just love the design. 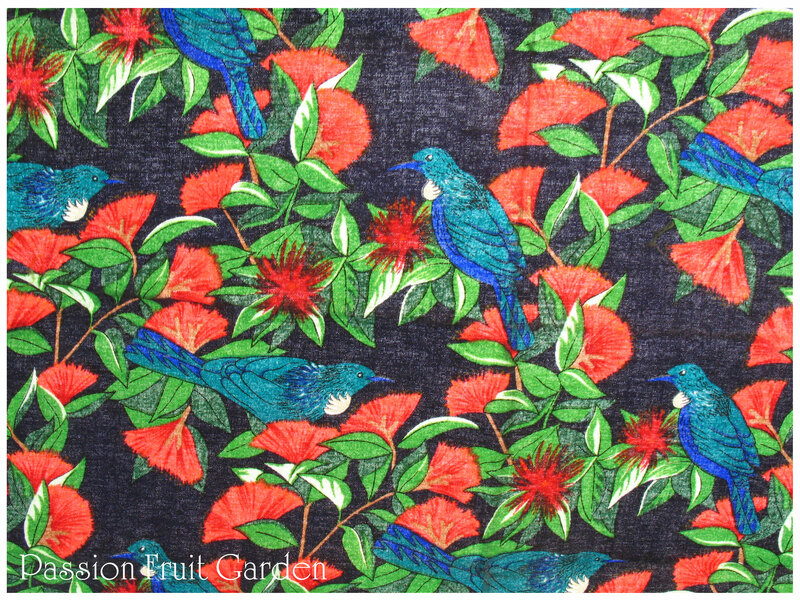 Sue tells me the flower is Pohutukawa and the bird is a Tui. If I hadn’t seen the names written down, I would still be scratching my head. Are a couple of late birthday presents. These gorgeous napkin rings were a gift from my mates, Steve and Al. They are designed by Tara Dennis and are from her sea drift collection. I absolutely adore the colours. Is another birthday gift. This time from my mates, Em and Col. 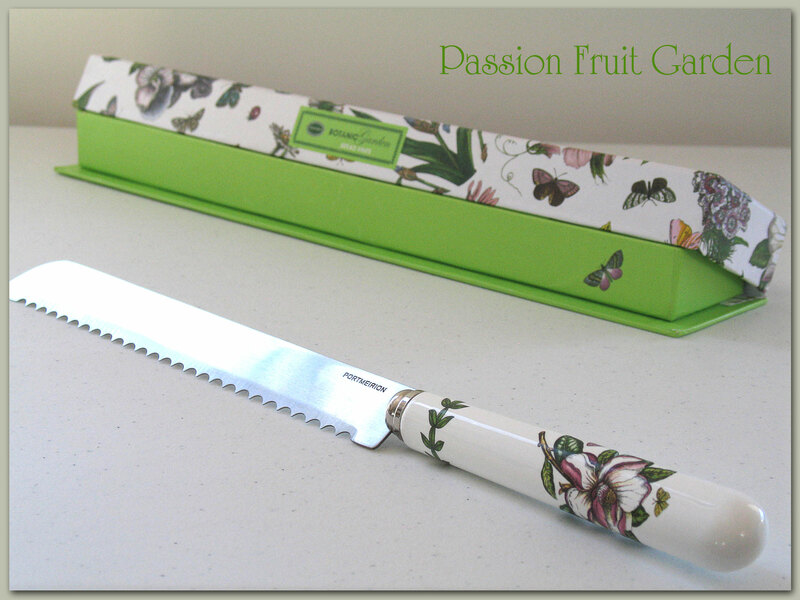 It is a beautiful bread knife from Portmeirion Potteries. 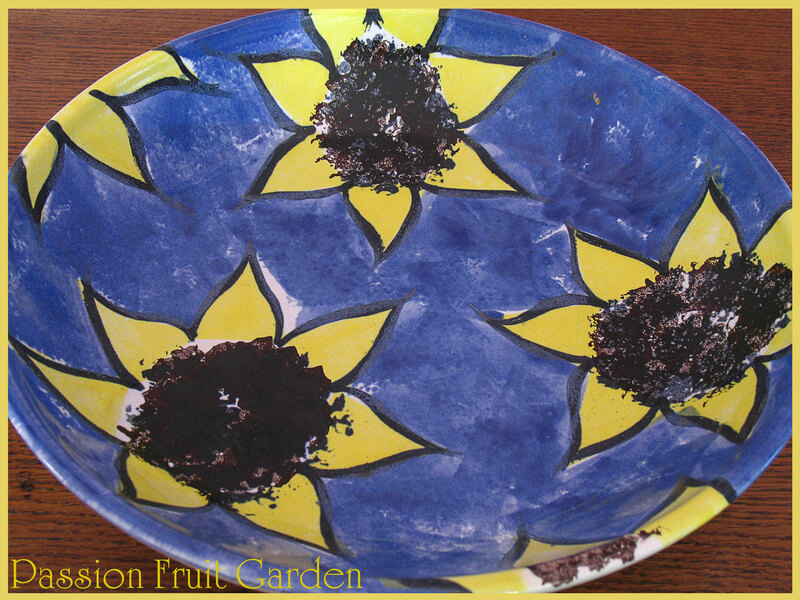 It is part of the Botanic Garden series. Are two very successful loaves of sourdough bread. I often produce flying saucers so I was particularly pleased when I pulled these guys out of the oven. I baked them because I had friends coming down for the long weekend. Even though flying saucers taste the same, it is much more satisfying to have nice, plump loaves, bursting at the seams, to show off to your friends. :) I used this recipe, its the one I make most often. 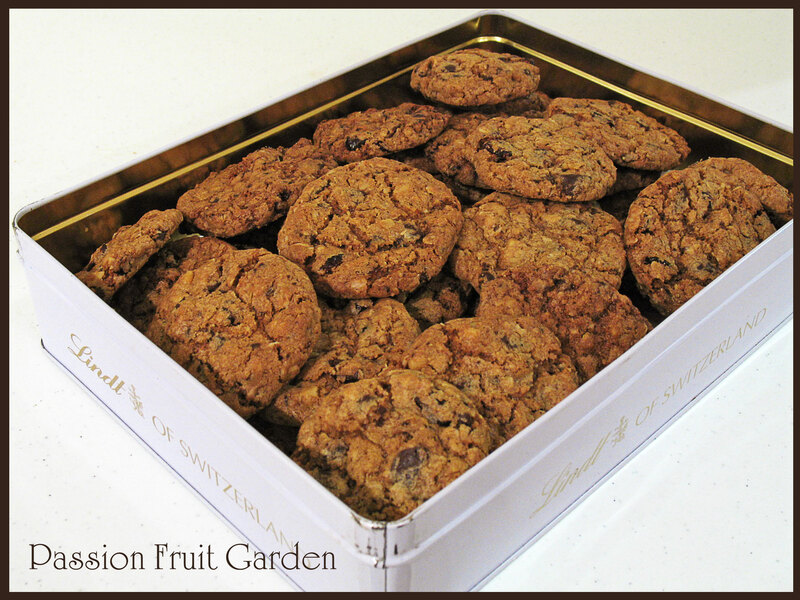 Is a batch of the Doc’s ultimate oatmeal cookies. I haven’t made them in ages but, geez, they are good. These biscuits are as good as it gets. I will always be indebted to the Doc for introducing them to me. Are cucumbers. We picked this pile on the day we arrived in Bridgetown. As there was no way we would even make a dent in the pile, Maus took them to the local tip and gave them to the attendant with a request to hand them out to people as they arrived. It’s a novel approach but it seems to work. The last time Maus dropped a bag off, the attendant took most of them home. BTW, I love the way the cucumber on the left, third from the bottom, seems to be floating. It must be the angle. and this was another. There have been many more of this quantity. We usually pick this many every week. If we are about to return to Perth, we hand them out to our neighbours on arrival. If we have just arrived in Bridgetown, I make passata out of them. Both these pots became passata. Are beans. I froze this lot. 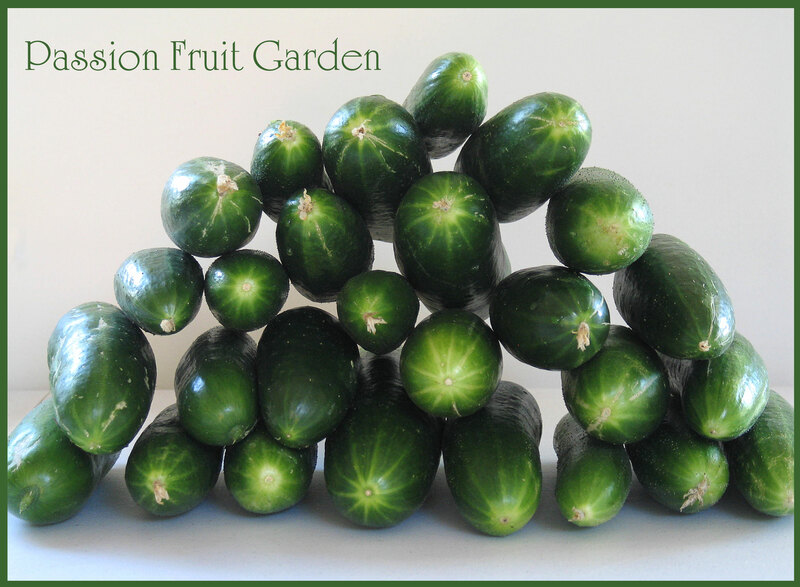 We have given piles away but, the day I picked these, we had just arrived in Bridgetown so I froze them. Hopefully, we will eat them over winter and I won’t find them in the freezer, all dried out with freezer burn, next summer. 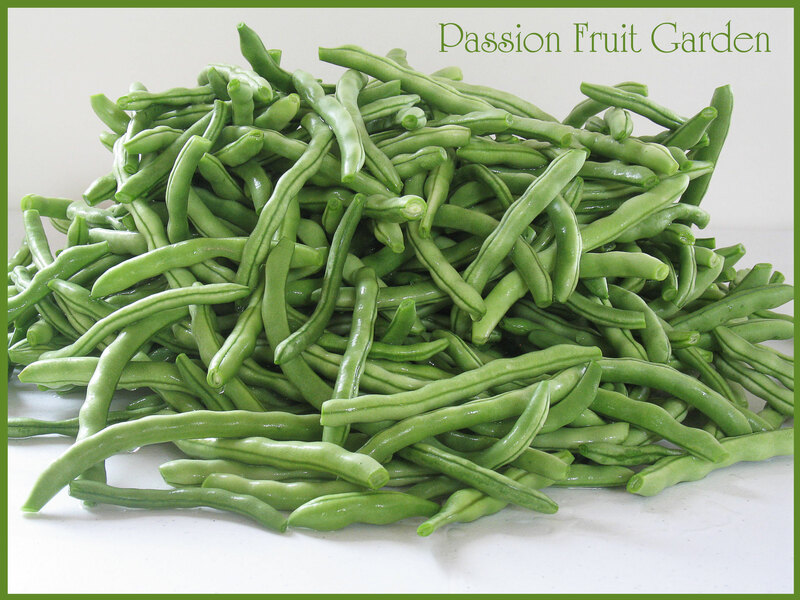 Are passionfruit. This is only one photo I have taken but there have been buckets and buckets of them. I made passionfruit jam and passionfruit syrup with this lot. I also made two passionfruit tarts and froze enough juice to make another. We have given many away and still they come. Is a new cookbook. I ordered the book from Amazon ages ago and had it delivered to Maus’ sister, Pauline, who was visiting her son in South Carolina. Paul is now home and so is my book. I know I don’t need any more cook books but I really wanted to get John’s book. 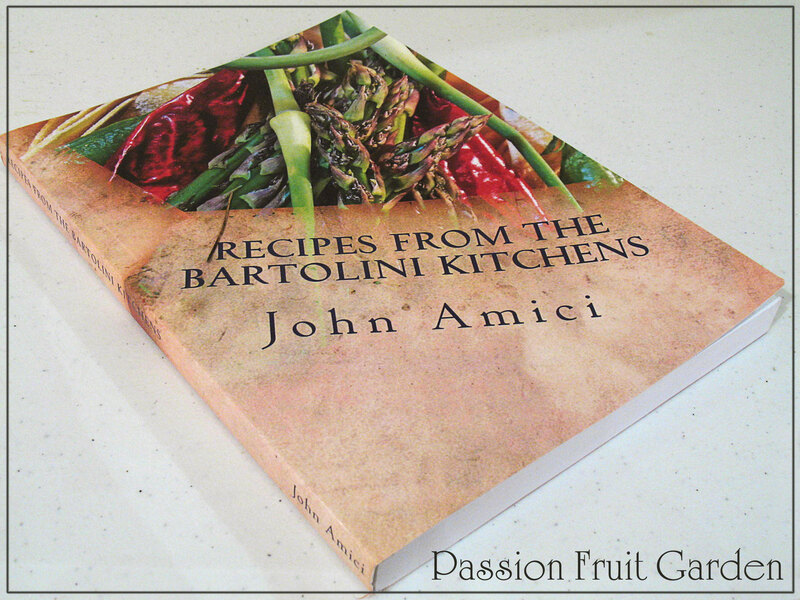 John is a fellow blogger who started his blog (From the Bartolini Kitchens) to document his mum’s and aunt’s recipes. Not only did he complete this task, John took the project one step further and produced this wonderful tribute to his family. Congratulations, John. 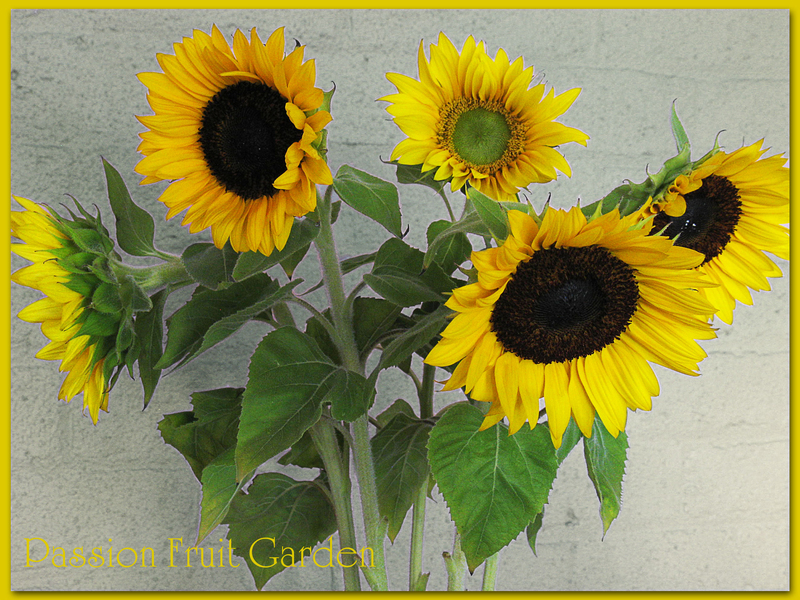 Were some stunning sunflowers. I am not usually a fan of cut flowers but friends brought these when they came to dinner. The flowers really brightened up our kitchen. They lasted amazingly well in the vase. They were one week old when I took this photo. 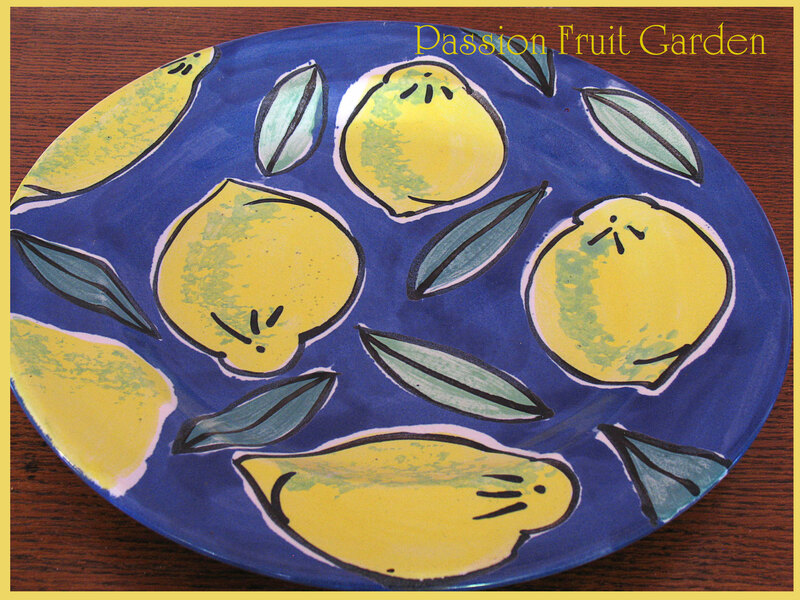 Are an Anna Chandler platter and fruit bowl. They would have to be at least 20 years old. 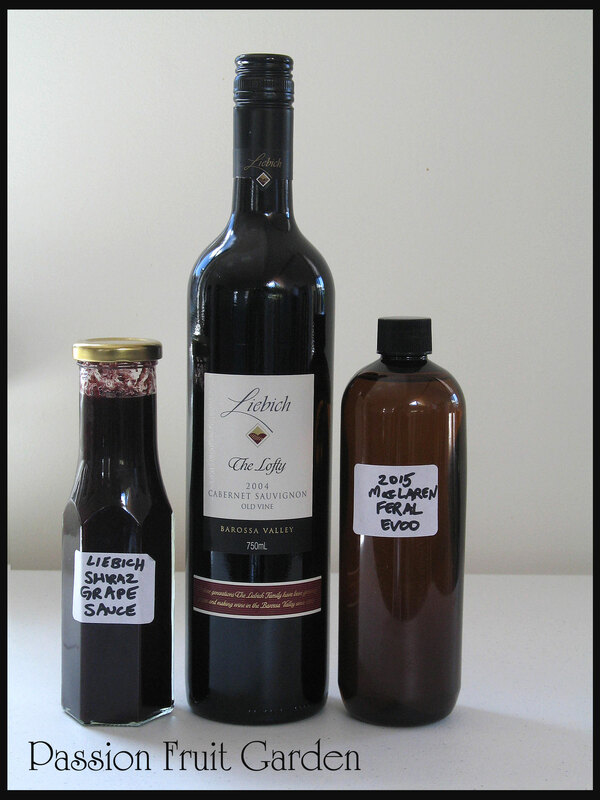 Is some grape sauce, McLaren Vale olive oil and a bottle of Liebich The Lofty Cabernet Sauvignon. They were all a gift from Maus’ nephew, Damian, and his wife, Bri. Bri’s parents own Liebich Vineyard (Liebichwein) in the Barossa Valley. If you want to support a small family-owned vineyard, I can highly recommend their wine. Their fortified wine is particularly renown. Are two bottles of home-made vanilla extract. One for Perth and one for Bridgetown. This entry was posted in In My Kitchen and tagged Anna Chandler, Sourdough bread, The best biscuits ever by Glenda. Bookmark the permalink. Love this post Glenda! All of that produce makes me drool and those sunflowers are so cheery. What a beautiful design on John’s book, I’ll have to check out his blog. Shame about the platter value, stick to selling your soap I think. 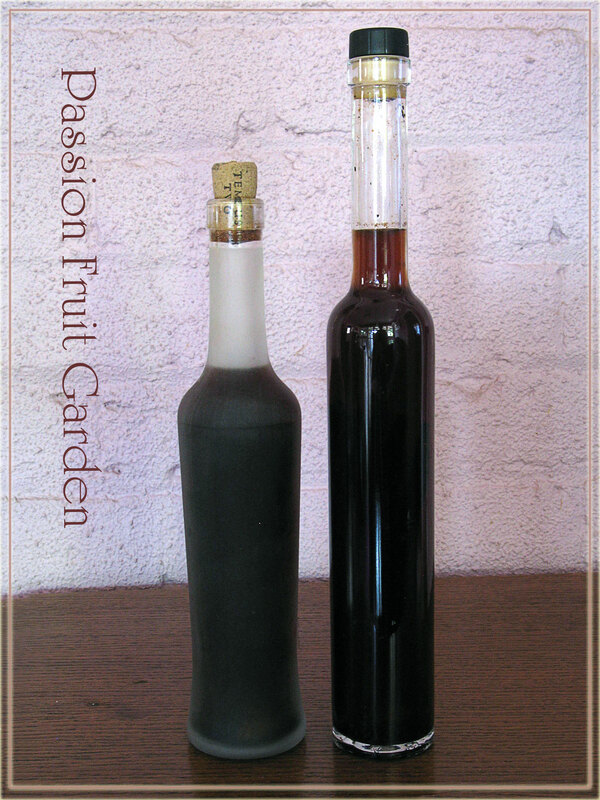 Beautiful extract bottles, do you use the vodka or glycerin method? Cheers, Maree. Hi Maree, the vanilla is made with vodka. Thanks for all the compliments. wow so many wonderful things in your kitchen. look at all that gorgeous produce. i love the colour of your vanilla extract. i have just recently put up a new batch which will take some months to be ready. Maureen says she puts hers away for 3 years! beautiful anna chandler crockery. love that design. and i hanker after that bread knife. so pretty! Thanks for all the positive comments Sherry. Thanks Moya, they must be popular in NZ. Love, love, love beeswax wraps. In fact, since I got a set about 18 months ago I’ve rarely used the horrible gladwrap and the same box still sits taking up space in the draw. 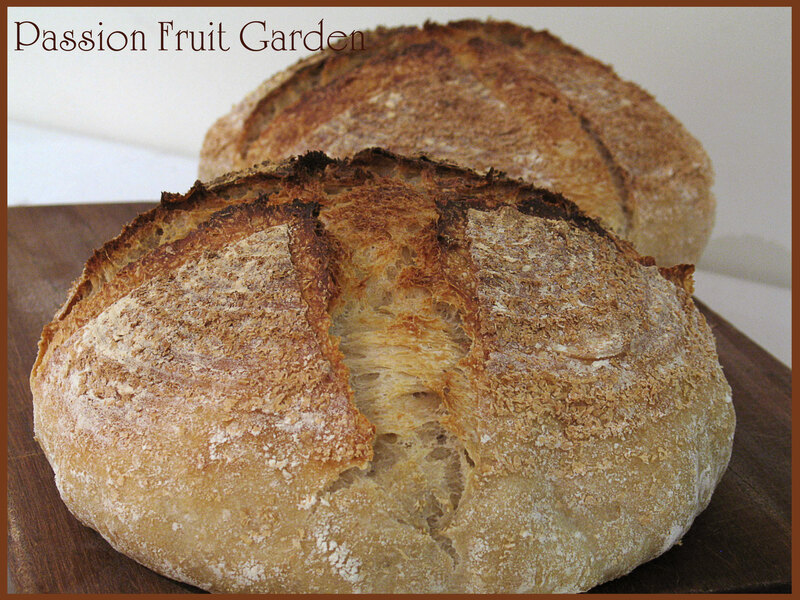 I intend to learn how to make them myself this year as I want some much larger ones to wrap my bread in too. And the smell, especially when they are new, just lovely. I always enjoy your posts Glenda, thank you. Thanks Deborah, I have yet to use my wrap but I like the idea of anything that produces less plastic. 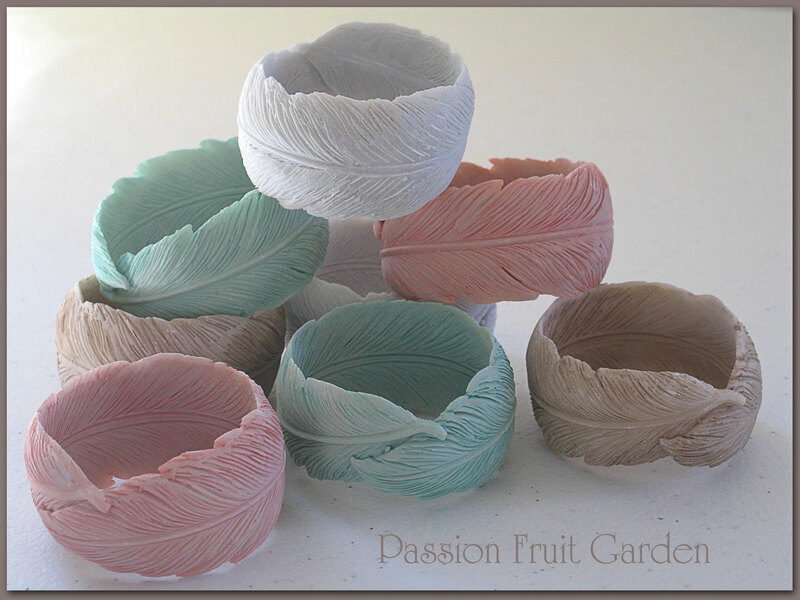 Your kitchen is always one of my favourites to peek into each month Glenda, absolutely love your napkin rings. Oh, Glenda. I was enjoying your post and then came upon our book. That was such a gracious thing to do, sharing your IMK spotlight with the cookbook. Thank you so much and I hope you enjoy it. 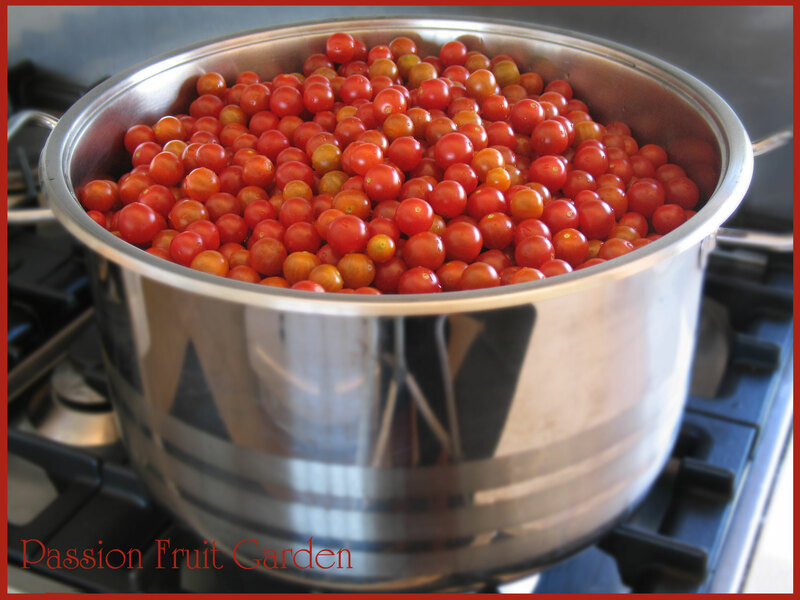 I cannot believe your tomato and passion fruit harvests. As happy as I would be to see my plants yield that many cherry tomatoes, I’d be at a loss when it came to dealing with them. I envision friends not answering the door bell when I come calling with yet another bag of tomatoes. Glenda, I am, as usual, envious of your tomatoes. We got so many this year but they never ripen in time for us to enjoy them. This seasons culprit is the Stink Bug. Who knew they like tomatoes? Hi Lisa. Tomatoes seem to like it here. I am so envious of those passionfruit!!!! Francesca there is no need to be. It sounds like you have piles of produce too. Your garden looks incredibly productive. So many delicious vegetables! 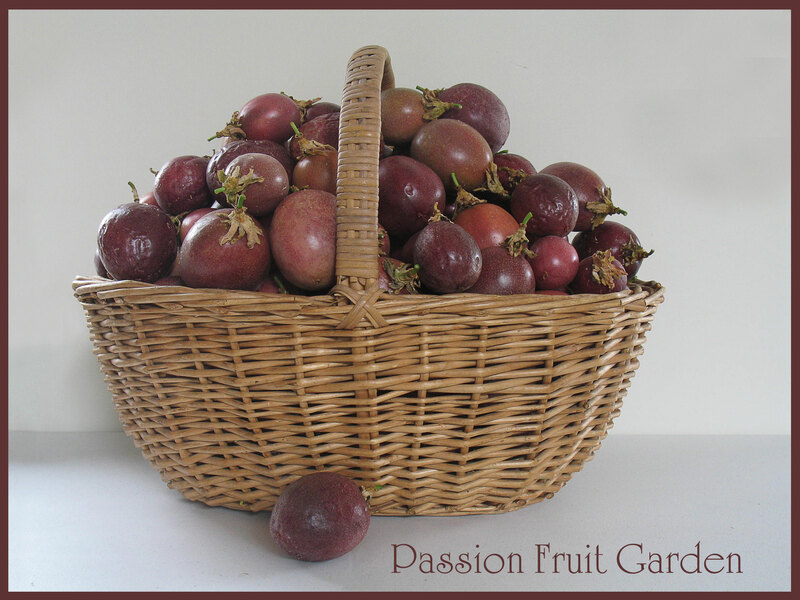 Passionfruit seems so exotic to those of us who live far north.Enjoy yourself. Hi Mae. I know how you feel. I feel the same way when people from a more temperate climate talk of berries. I am green with envy. 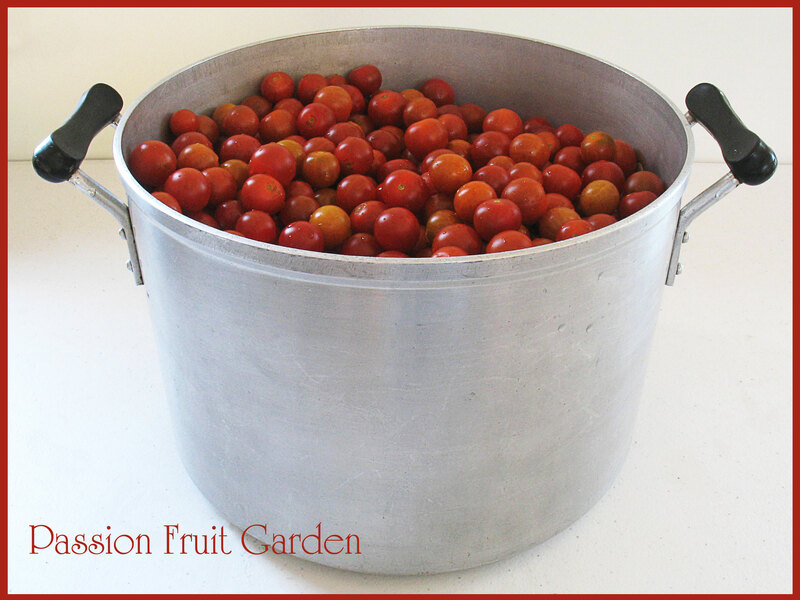 Holy cow, how big is your passion fruit vines to get that many in a basket and your cherry tomatoes and cucumbers. Your thumb must be green to your shoulder! Those napkin rings are really cute and the bread knife is definitely a keeper. Thanks Maureen. We do have two vines. What a wonderful collection of goodies, Glenda. I love the bread knife… so pretty… and all that produce! Wow. Beautiful photos, too.